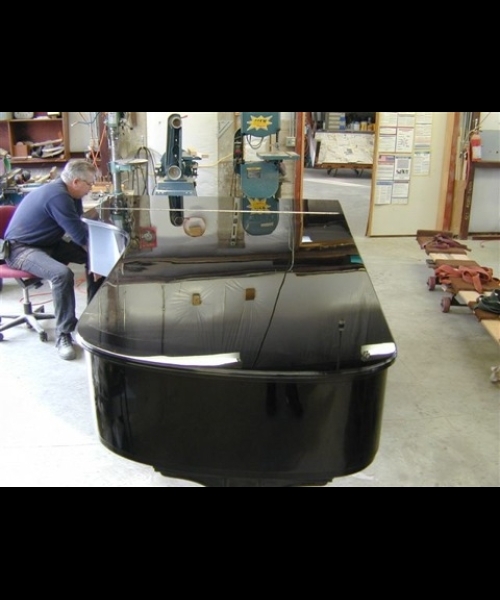 Restoration - Erwin's Piano Restoration Inc. 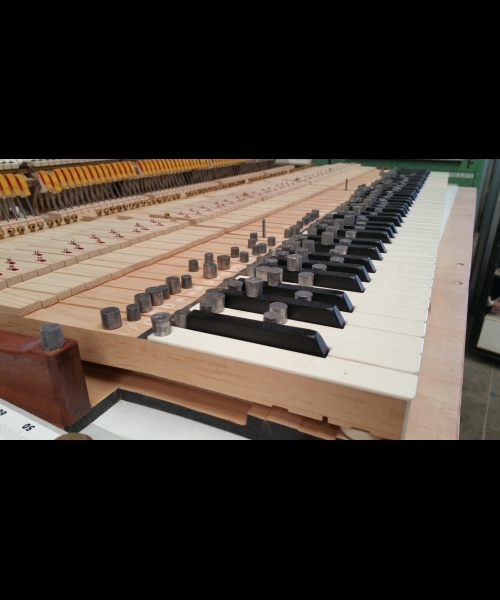 This page is designed to give you an inside look on exactly what your piano will go through with a complete restoration. It is our hope that you will not only receive an amazing instrument, but a new found knowledge of what makes it that way. “A beautiful singing tone has been the propelling force behind my intentional journey centered around the craft of building pianos. For me it has always been about the sound. For musicians and myself the piano’s intrinsic tone quality is always the primary and pre-eminent focus when playing or judging any piano. Tone must come first because tone is music, inspiration, beauty and emotional expression. Without it, pitch becomes a bland wasteland of boring sameness. Know what I mean? In order to achieve a beautiful tone, you must use a quality hammer head. Made of wool felt, these are what access the tonal potential in the piano. The way they strike and caress the string will determine the tonal envelope of your piano. In my opinion many modern pianos seem to use hammers that typically create a harsh sound with minor use. Attempts at voicing them are often unsatisfactory. I hear things like “I liked it at first but now I hate the way it sounds.” If this is you, take heart, there are answers and solutions. After getting the right hammers, and a great tone, it must be attached to an evenly responsive keyboard. So much work has been done to elevate action re-design to new levels. Custom action balancing has been given a whole new meaning by my colleagues David Stanwood, Fenton Murray, Steve Bellieu and others. We have journeyed together to gain greater control of the pianos action and keys, so that a pianist, like you, can have the most wonderful musical tool at your finger tips. An instrument capable of playing the most demanding of music without fighting the keyboard and action. Though hammers and actions are two vital pieces of the piano puzzle, the third piece, the soundboard is equally mysterious, yet crucial. The soundboard is the soul of every instrument. 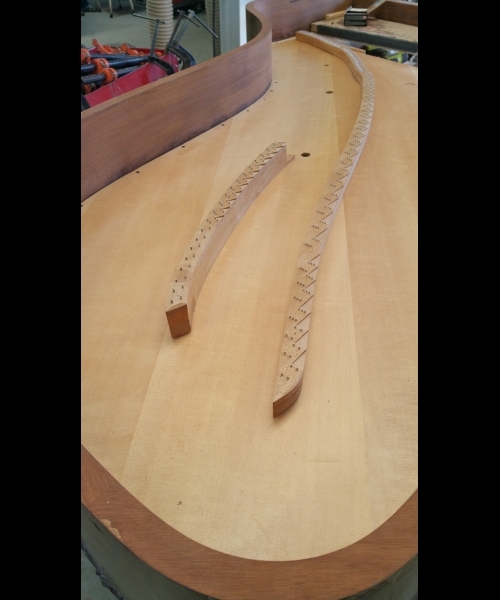 I’ve discovered through rebuilding many pianos with aged original old soundboards that many simply did not respond as well as they should to the other refined protocols listed above. Our family works together to combine these performance enhancing protocols. I have the pleasure of working with my wife Trix, and our sons, Dennis and Jacob. As a team we will apply the latest technologies and design features to our custom soundboard replacements, action design, and rebuilding protocols. 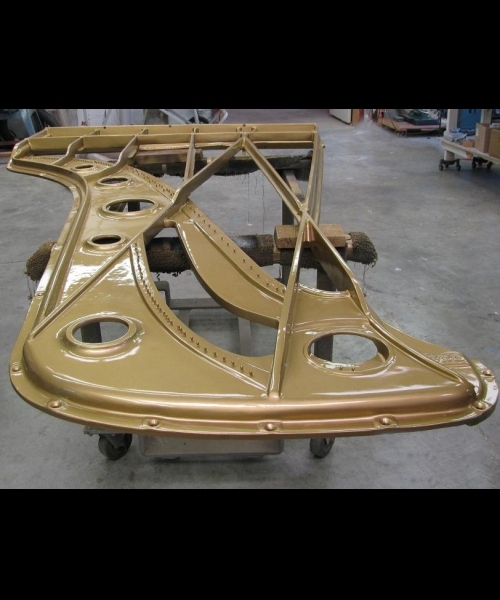 Our specialty service caters to clients seeking a custom restored piano at the highest possible performance levels.